The early years: Ringo, John, Paul and George sporting matching suits and mop tops. So began a critic’s review of The Beatles’ debut on the Ed Sullivan Show, published in Newsweek in February, 1964. Of course, this opinion would soon prove to be an unpopular one, as the Fab Four progressed to dominate the world’s airwaves and sartorial sensibilities, shaping the era’s cultural landscape and lending a fresh meaning to style. The Beatles’ early aesthetic - that ‘dandified nightmare’ look characterised by matching mop tops, slim fit suits and Chelsea boots - was what started it all: Brian Epstein, the band’s manager, is widely lauded for inciting such a squeaky clean image. When he was brought onboard in 1961, he encouraged the adoption of a sharply-tailored uniform and neat silhouette in an attempt to navigate the group away from their tendency toward leather jackets and less-than-polite onstage behaviour. As he told the BBC in 1964, “I encouraged them, at first, to get out of the leather jackets and jeans, and I wouldn't allow them to appear in jeans after a short time, and then, after that step, I got them to wear sweaters on stage, and then, very reluctantly, eventually, suits." Despite the band’s initial reluctance toward suiting, Epstein introduced them to Dougie Millings, a tailor in London’s Soho who would come to produce around 500 garments for the group. His most iconic output was a grey Pierre Cardin-inspired suit: collarless and lapelless with pearl buttons, a rounded neck and slim-fit flat-front trousers. The suit was worn by all four members, generating a sense of cohesion and streamlining their image. It was rotated amongst a series of darker charcoal and navy suits with more traditional collars, equally as slim-fitting and elegant. Pairing these suits with skinny black ties, club or pointed collar shirts and cuban-heeled Chelsea boots, the group came to exemplify the mod subculture of the 1960s and garnered legions of style disciples. Such sartorial influence endures today - take a short stroll through any city’s central business district and you’ll see how the style-conscious modern male is embracing and adapting The Beatles’ signature look of those pivotal years for their everyday attire. It’s an understated and elegant approach that has proven timeless and versatile: brands like the prestigious tailoring houses Lardini and Edward Sexton are king when it comes to emulating such a classic and refined aesthetic today. As far as footwear goes, the iconic Chelsea boot silhouette will never go out of style: Tricker’s, Carmina and Duke & Dexter each offer their own take. As the band’s music evolved, so too did their style. The slick suiting soon gave way to a more relaxed manner of dressing: turtlenecks replaced button-ups, separates were embraced and a shaggier hairstyle was collectively adopted. The slim blazers and cropped trousers were maintained, but there was an added looseness and a newfound freedom to the way the group dressed, indicative of their increasing confidence and a growing hankering for individuality. 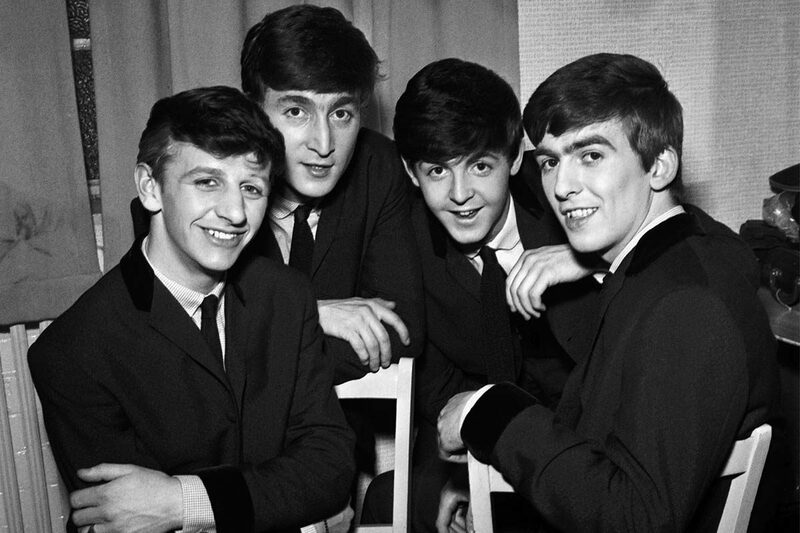 The film A Hard Day’s Night acted as veritable evidence of the band’s evolving style and helped to establish Paul, John, George and Ringo as dapper young style icons in their own right. It was the height of Beatlemania and their sartorial influence reverberated around the world: the phase would come to largely define the overarching 1960s aesthetic, which remains central to our interpretations of style today. Subtle influences can be identified in the design philosophies of labels like Turnbull & Asser, Gieves & Hawkes and Doppiaa: silhouettes are kept slender and quality fabrics and elegant cuts are prioritised over showy patterns and colours. Of course, trends come and go, but the impact of The Beatles’ style - in particular their early mod period - has remained hugely significant over the decades, and for good reason. We’re somewhat indifferent when it comes to the band’s later hippie-inspired paisley outfitting, but the quality-crafted Chelsea boots, slim-fit suiting and luxurious woollen turtlenecks of their early years have become well entrenched in our collective sartorial consciousness. It really all comes down to classicality: these pieces are foundational and functional staples that should be considered essential building blocks of any contemporary rake’s wardrobe. Make like our favourite foursome and build your wardrobe accordingly.